PCIe 4.0 Controller and PHY Provide Complete IP Solution Enabling Early Adopters of the Emerging PCIe 4.0 Specification to Accelerate Product Development and Reduce Integration Risk. See a demonstration at The TSMC Symposium in San Jose on April 7th. Paris, France – February 10, 2015 - ReFLEX CES, a provider of Modified-Off-The-Shelf (MOTS) solutions and turnkey embedded systems, has added the hardware businesses of its sister companies in the PLDA Group, PLDA and Accelize. Effective from January 1st 2015, FPGA-based boards and the SOM (System-on-Module) product lines have been transferred to the ReFLEX CES portfolio. Is the Market Ready To Conquer PCIe 4.0 Challenges? PLDA, the company that designs and sells intellectual property (IP) cores and prototyping tools for ASICs and FPGAs, has optimized its ASIC intellectual property (IP) cores for the next generation of the ubiquitous and general purpose PCI Express® I/O specification, 4.0. PLDA’s proven 3.0 architecture enables easy migration to PCIe 4.0, with no interface changes necessary, and preserves existing behavior for seamless integration. Using the same silicon-proven IP found in PLDA’s XpressRICH3 product, PLDA’s PCIe 4.0 controller IP and Bus Functional Model (BFM) enable SoC and ASIC designers to quickly incorporate PCIe 4.0. PLDA provides testing and integration with third party PHYs, delivering a complete and flexible PCIe 4.0 solution. 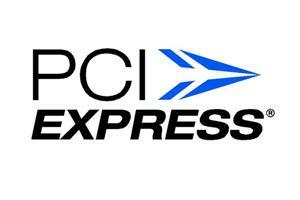 PCIe 4.0 is the next evolution of the widely implemented PCI Express I/O specification. At 16Gbps, the interconnect performance bandwidth will be doubled over the current PCIe 3.0 specification, while preserving compatibility with software and mechanical interfaces.